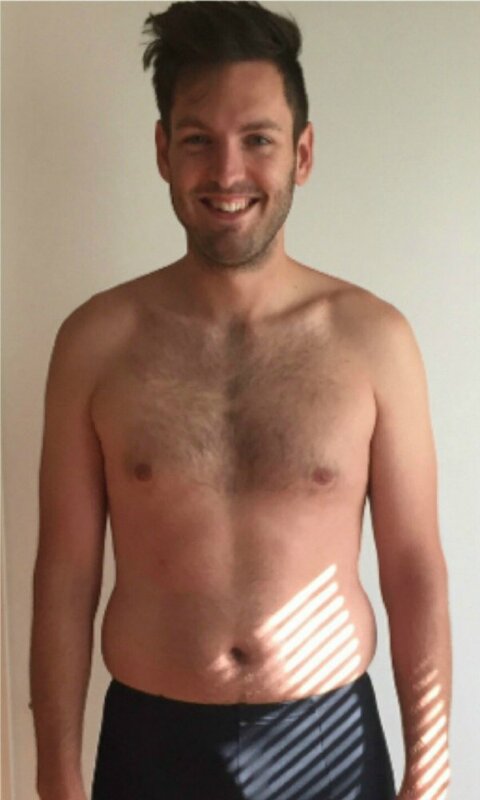 "I've lost about 13 pounds overall and have built significant muscle!" Weight: 170 lbs to 157 lbs. Body fat: 22% to 10%. I immediately began a cut as soon as I started lifting back in August of 2016. 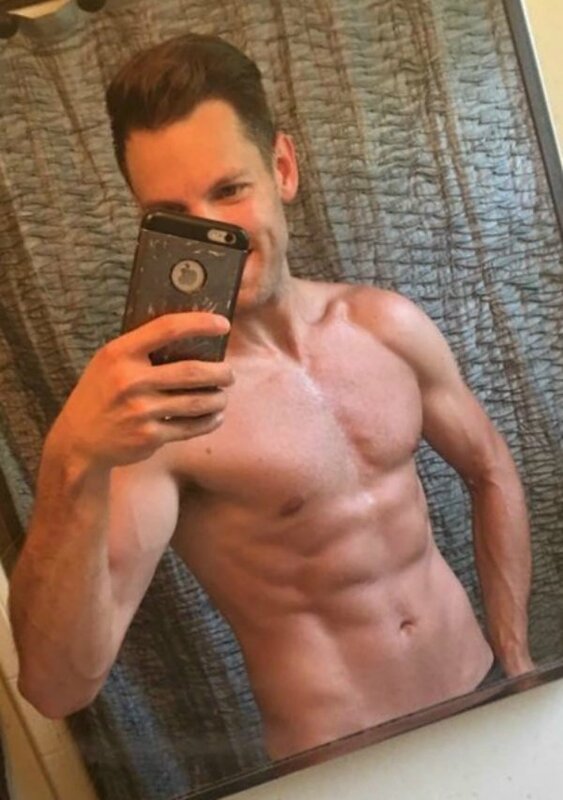 My plan was to take advantage of my “newbie gains” as a brand new lifter and also see how much I could trim down and see what muscle I could build in that 1st year or so. I’ve lost about 13 pounds overall but also built significant muscle. All lifts are in the 5-6 rep range for 3 sets. I believe I was initially intimidated because I had never stuck with something like this before and was just wondering if this would be something I would, again, not stick with long-term. However, something struck me differently last summer as I was reading some of Mike’s articles on MuscleForLife.com and about the Bigger Leaner Stronger program. I was inspired and finally felt as though I had the right tools and knowledge in front of me without all the gimmicks and BS that usually comes in the industry. I had tried some of the at-home workout programs and gave up feeling as though I could never really have the physique and levels of strength I wanted with a mere 25-45 min body-weight workouts. Mike’s program simply cuts out the BS! It was clear what I needed to do in terms of my nutrition and training in order to see regular and consistent progress. Once I understood the idea of simply being in a calorie deficit, prioritizing my macro ratios, and focusing on the big compound movements, everything fell into place! I love that this is 100% workable into your daily life! Yes; you still have to plan for your workouts and show up. Yes; you need to rethink your nutrition and relationship with food, but you can still live your life and be social and see incredible results! It simply doesn’t compare. I was not getting the results I wanted from the other video series workouts. This is the first program I’ve tried that emphasized heavy lifting, but also made it so clear what I needed to be consuming with regard to macronutrients. I always assumed you just need to “eat clean,” and “avoid processed foods,” and “eat less” to see results. I had never tracked my food intake, macros, or calories before and it made ALL the difference! I am absolutely a more happy and confident individual in many areas. I have a great sense of pride with what I have accomplished because there simply are no shortcuts to a great physique and these strength gains! I’ve truly earned every bit of progress made with my own hard work, focus, and dedication. I enjoy being fit and healthy for my family — and especially the energy needed to keep up and play with our 4 year old little girl! I’ve made a great friend with my workout partner who is also with me on the Bigger Leaner Stronger program and I simply wouldn’t be where I am at without his support and accountability. I’d recommend this program to literally ANYONE who is unhappy with their current progress in their workout routine or even someone that has never worked out before. This 1 year challenge was such a great way to really get to know all the exercises with proper form, know what my body can handle, and dial in my nutrition. If you’re like me, you got to age 30 and decided it was finally time to just see what your body is capable of. How strong can I be? 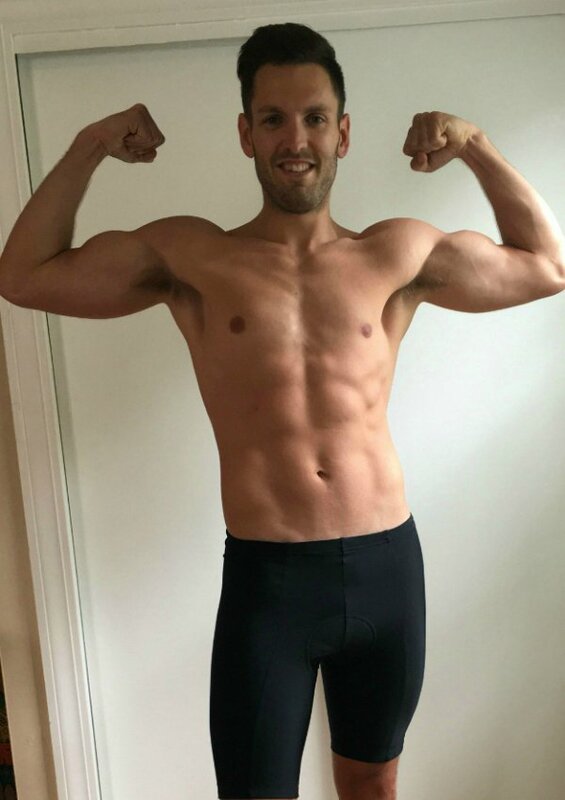 How great can I get my physique to look (naturally of course)? To you on the fence — take the plunge! Make the time, make the commitment, enjoy the journey, and love the progress! I have absolutely no regrets about diving into this new lifestyle and can’t wait to be back in another year with even more results. This isn’t a “before and after” program or lifestyle. There’s always the “before” and the rest is just slow and steady progress over time. Finally, THANK YOU to Mike and his straight up no BS approach. This is truly something I’ve needed for years but felt lost amongst all the fitness garbage out there. From his books, to articles, to live Q&A’s, etc. You can tell he is passionate about what he does and it inspires me to work that much harder. I appreciate the fact that he is reachable and takes time to connect and respond to his followers. Thanks Mike! I consistently used Legion WHEY+, PULSE, and RECHARGE. The Whey flavors are all amazing and so easy to mix and drink! I tried to get most of my protein intake from whole foods and just added the whey as needed to meet my protein for the day. Pulse–wow! Had never tried a pre before this and I love the clean rush and tingles. Get’s me amped up to hit the gym and give my very best each and every session. Recharge flavors are great and I’ve enjoyed the benefits of taking creatine long-term. It’s something I take daily and I plan to continue to do so.